Genevieve Jackson has written for "10th Life" and "Double A Beauty" since 2005. She is an entrepreneur with experience in risk management. She also engages in motivational speaking for entrepreneurs. Jackson received a bachelor's degree in political science from the State University of New York at Buffalo. Delivery of nutrients to patients suffering from or prone to malnutrition requires introduction of nutrients through dietary supplements. Enteral nutrition formulas such as Polycose provide for the caloric needs of patients unable to obtain nutrition through traditional sources. Add Polycose to intravenous feeding tubes or beverages to meet daily caloric requirements. Purchase liquid or powdered Polycose over the counter. Avoid using Polycose as a sole source of nutrition. The formula does not provide for all necessary nutrients. Derived from hydrolyzed cornstarch, Polycose, a glucose polymer, almost purely contains carbohydrates. People suffering from protein-sensitive diseases require restricted protein consumption. Use Polycose to meet calorie needs in protein- or fat-restricted diets without introducing unwanted nutrients. Both fat- and protein-free, all caloric content in Polycose arises from carbohydrates derived from gluclose polymers. No other nutrients provide the caloric energy within Polycose. The liquid form of Polycose contains 50g of carbohydrates per 100ml. The powder form contains 94g of carbohydrates per 100g. Find other sources of vitamins and minerals when using Polycose. The formula does not provide for adequate amounts of vitamins or minerals. Small amounts of minerals exist within the formula -- phosphorus, 1.5mg; calcium, 30mg; chloride 223mg; sodium 130mg. Polycose does not contain vitamins. Measuring the proper amount of Polycose to provide sufficient energy depends on the method of delivery when considering liquid versus powder. Breakdown of the caloric equivalent of powder Polycose demonstrates 1 tsp. totals 8 calories, 1 tbsp. equals 23 calories, and 1 cup of Polycose has 380 calories. For liquid Polycose, 1 oz. equals 60 calories, while 100ml equals 200 calories. Keep Polycose stored out of direct sunlight and damp areas. Refrigerate open liquid or dissolved powder solutions for up to 24 hours. Keep open unmixed powdered Polycose for up to one month. 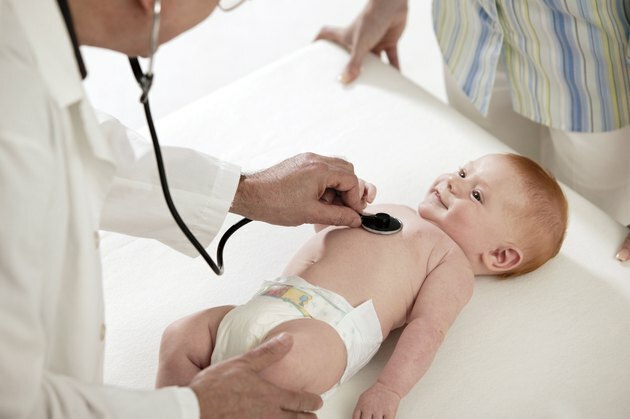 Administer Polycose to infants only under the supervision of a physician. Antelope Valley Hospital suggests feeding only diluted Polycose to infants. Avoid introducing Polycose directly into the mouth of an infant. Drugs.com says the most common side effects of enteral feedings include confusion, convulsion, dry mouth, pain in extremities, diarrhea, vomiting and constipation. What Are the Side Effects of Feeding Tubes?